If you have been injured due to the negligence of someone else in Alpharetta, Ga our personal injury attorneys can help you get the justice you deserve. For many people after being in a serious accident seeking a law firm is a first time experience and there are seemingly an infinite number of unknowns. Our Alpharetta attorneys understand clients come to us during their greatest need, and we understand your life has been turned upside down, both physically and emotionally. Let us help guide you through this time in your life and learn how we can help protect you and your families rights, contact us today for a Free Consultation. "Personal Injury" cases are legal disputes that arise when one person suffers harm from an injury or accident, and someone else may be legally responsible for that harm. A personal injury case can become formalized through civil court proceedings that seek to find others legally at fault through a court judgment. Many times disputes are finalized through an informal settlement before any lawsuit is filed. Deciding who is at fault and how much compensation will be rewarded in an accident injury case can be a prolonged process. Does it mean that if another person is at fault for your injuries they would automatically have to pay for all your expenses? Not necessarily. 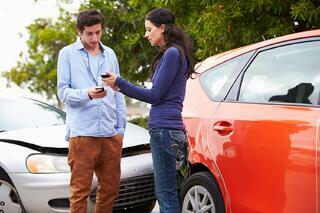 Both the degree of fault and intent may come into account in an injury case. Further rules may apply for specific types of cases. Different states have different rules regarding the assignment of fault. For example, the state of Georgia uses a modified comparative fault standard of 50%. This means that if you were found 50% or more at fault for causing the accident, then you cannot legally recover damages for your injury. Even if you were less than 50% at fault, your damage recovery is reduced by your percentage of fault. Meaning, If you were found 10% at fault for the accident and the damages awarded was $100,000, it would be reduced by the 10% you were at fault, so you would receive $90,000. How can I find the best Personal Injury Attorney to help me with my case? Finding the perfect personal injury attorney near you after an accident may be challenging. Looking at how much experience can be a good start but don't jump the gun, just because a firm has many years under their belt doesn't necessarily mean they are a good fit. However, having a lot of experience could mean the attorney knows a lot of claim adjusters from years of dealing with various insurance companies and has dealt with cases similar to yours. Point being, don't rule out an inexperienced lawyer or immediately hire a lawyer solely on their experience level. While having experience is a secure feeling, make sure you explore other qualities before you make your choice and interview the lawyer to determine if you get a long with that person and see how well they communicate with you, the better a communicator the more they will keep you in the know about the handlings of your case. We offer the best legal representation for your personal injury claim in Alpharetta, we have helped thousands of cases similar to yours gaining millions in compensation dollars, don't wait, we are passionate towards your injuries and are here to help. Our Alpharetta legal staff are highly trained at building your distinct case from the ground up. Remember your claim is only as good as the evidence that supports it. The more detail you are able to provide our legal team the better. Including names, addresses, and phone numbers of witnesses, doctors and other medical care providers that treated you. The relevancy of this information is crucial in determining whether you have a solid case. There is a time limit in which a plaintiff can file an injury claim, known as "The Statue of Limitations." Typically the statue of limitations begins from the time the plaintiff was injured or discovers the injury. Statue of Limitations are established by state law and often vary by the type of injury. In the state of Georgia, there is a two-year statue of limitations for personal injury, fraud, and medical malpractice claims; but personal property, trespassing, and debt-collection claims have a four year limit. The intentions of time restrictions on claims is to ensure the integrity of evidence and to prevent people from threatening lawsuits indefinitely. 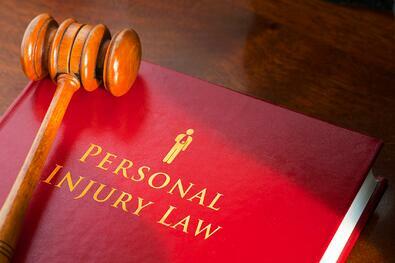 Our trusted Alpharetta Personal Injury Attorneys strive to aggressively take on each case. We will passionately deliberate all testimony and evidence gathered in order to gain the highest compensation possible for your losses. Our individualistic approach towards each client drives us to be better than the rest. Click the link below to get your Free Consultation.